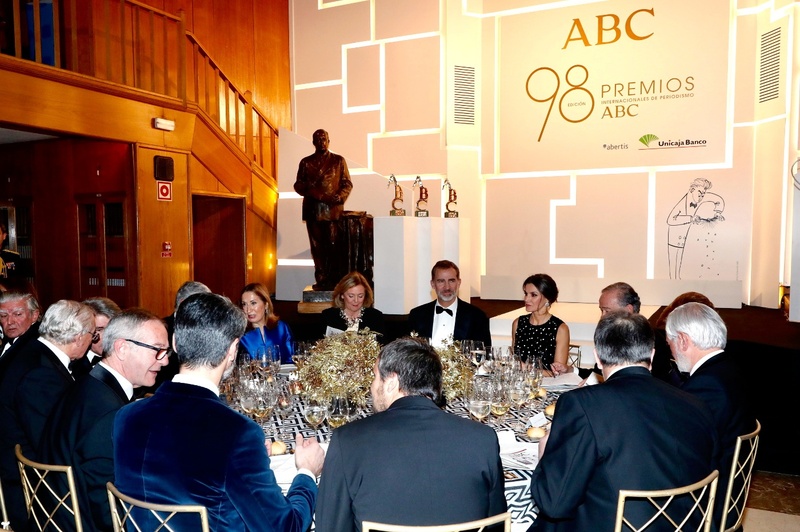 On Monday night, King Felipe and Queen Letizia of Spain were at ABC House in Madrid to preside over the gala dinner of the 98th edition of the ABC International Journalism Awards: Premio Mariano de Cavia, Luca de Tena and Mingote. 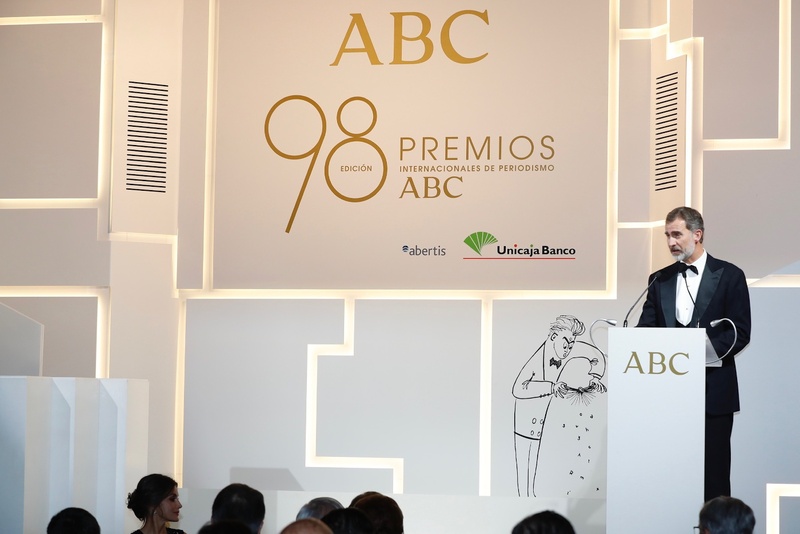 The journalistic prizes are awarded annually by the newspaper ABC, which recognize the professional career and the best journalistic works published by publishing companies in their media. In this and its 98th edition the awards have gone to: Mariano de Cavia to the article “La desmemoria que no ceesa” by Gregorio Marañón and Bertrán de Lis, published in the newspaper “El País” on December 28, 2017. 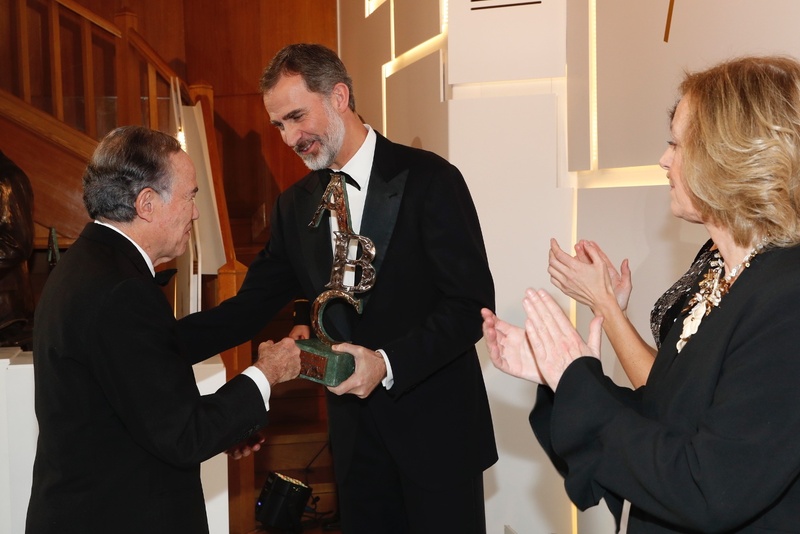 Luca de Tena Prize is awarded, unanimously, to Pilar de Yarza Mompeón , president of the “Heraldo de Aragón”. Mingote Award was granted, by majority, toJesús Fernández Salvadores for the photograph “El infierno provocado”, published in the “Diario de León” on August 23, 2017. 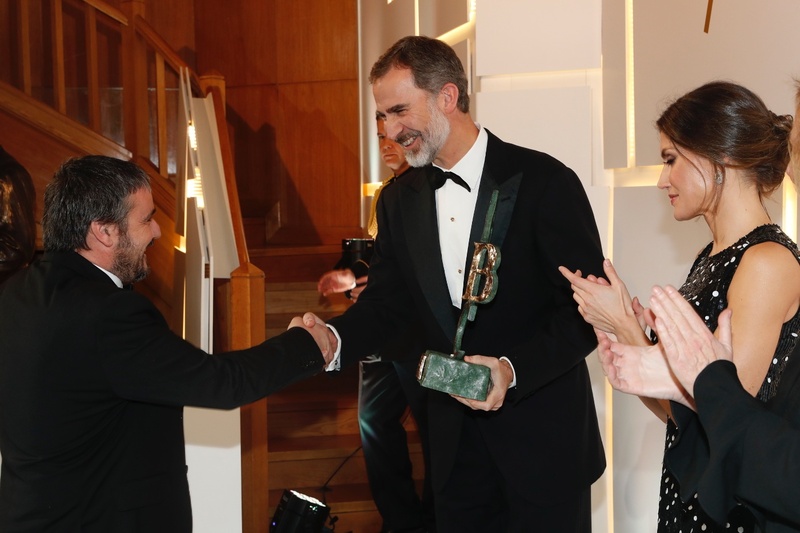 Felipe and Letizia presented the awards to the winners. The event concluded with a dinner in honor of the winners. A video of the event. 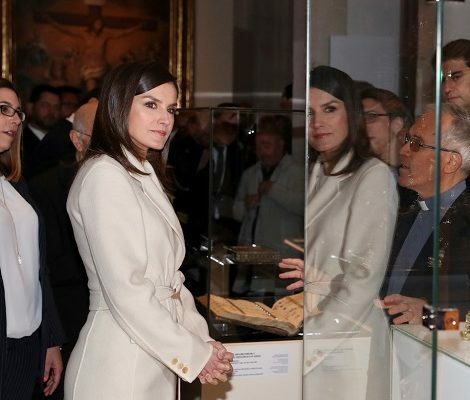 For the annual event, Queen Letizia chose Carolina Herrera Sequined Chiffon Dress that she first wore in November 2017 a at reception Letiziaand Felipe hosted for Israel President and First Lady at the Palace. The look was a complete contrast from her last year’s bold red look. 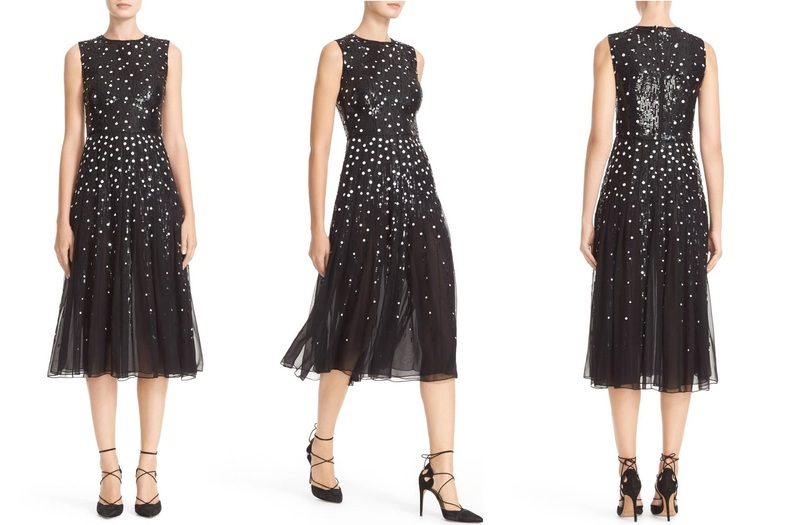 The $5,990 sequin embellished sleeveless silk dress is embroidered with contrast dots features round jewel neckline, pleated skirt, back zip closure, fully silk lined fluid chiffon skirt which flares in a flattering A-line silhouette. Bright paillettes add effervescent appeal to a sleeveless silk dress streaming with liquid-shine sequins from shoulder to hip. 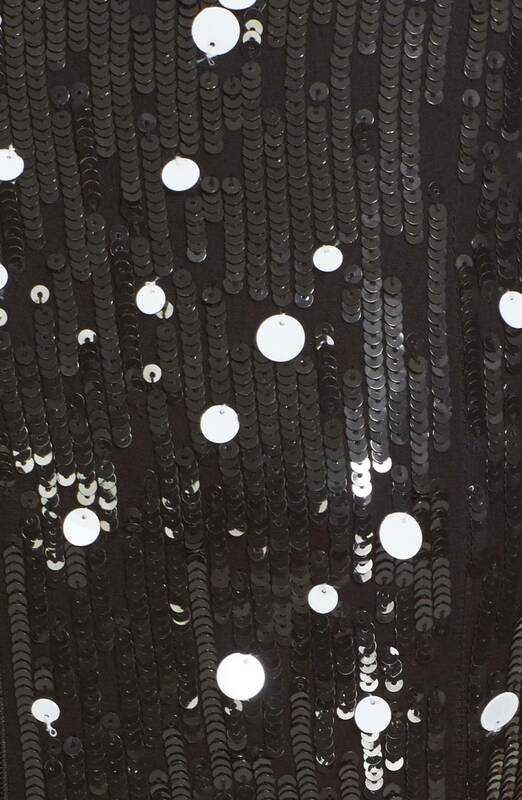 Dégradé Sequin Silk Midi Dress is currently retailing at Saks Fifth Avenue for $5990. 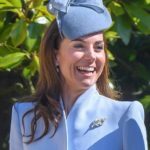 Upon arrival Queen was wearing a black velvet jacket with a fur neckline, that is still to be identified. Letizia paired the look with black patent leather Lodi pumps with hidden platform. 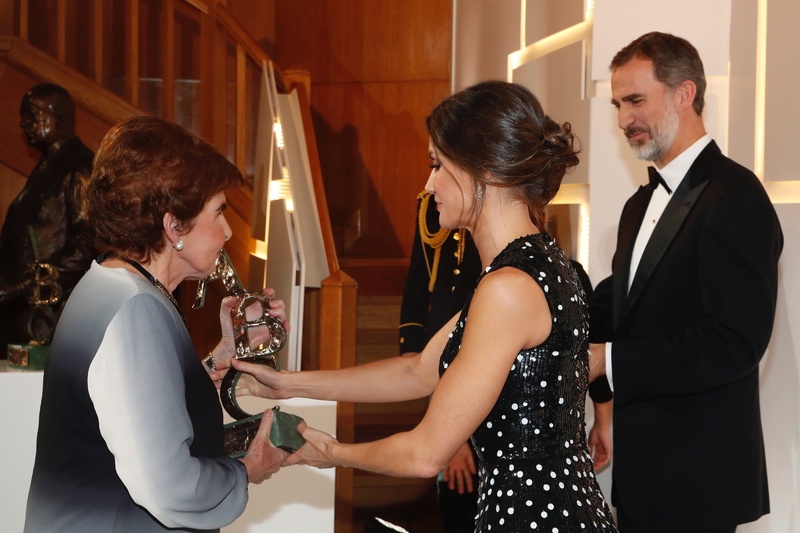 Queen was carrying black Magrit suede clutch that she carried at Princess of Asturias Awards in October 2018. Diamond Chanton earrings which once belong to Queen Ena and passed on to the Queen’s of Spain via the joyas de pasar gave the elegant compliment to the look. 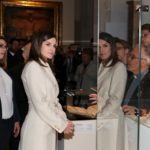 Next we will see Queen Letizia on Tuesday when she will preside over National Fashion Awards before going on annual winter break. 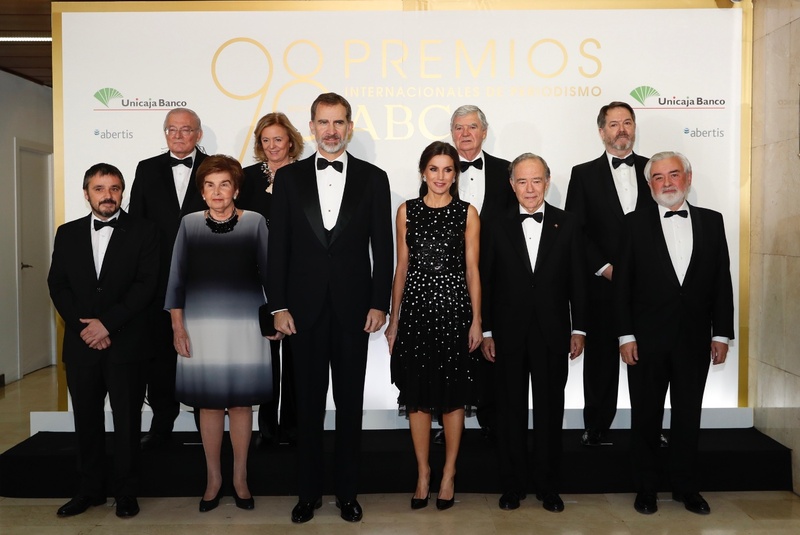 I will leave you with a glimpse of Letizia’s previous appearance at the journalist awards. 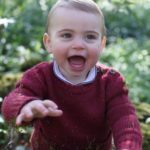 Previous Previous post: William and Catherine are set to spread happy vibes through their Christmas Card this year.